The hot weather is (almost) here and The Nightingale is the perfect spot to throw one huge party! 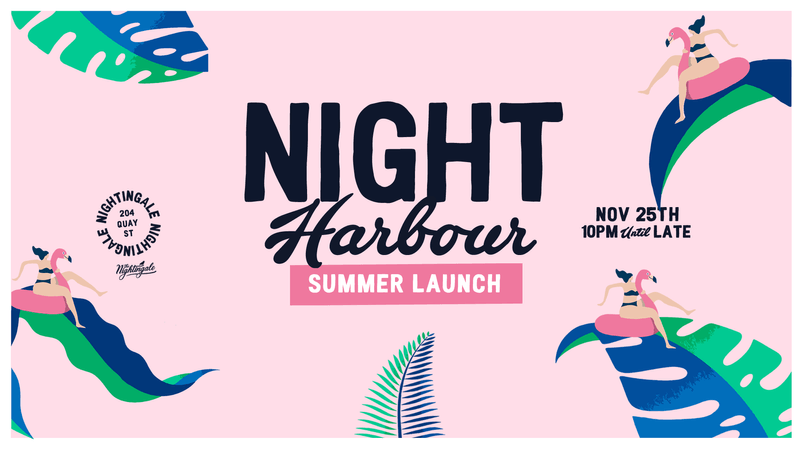 So here is the Summer Launch party of Night Harbour! 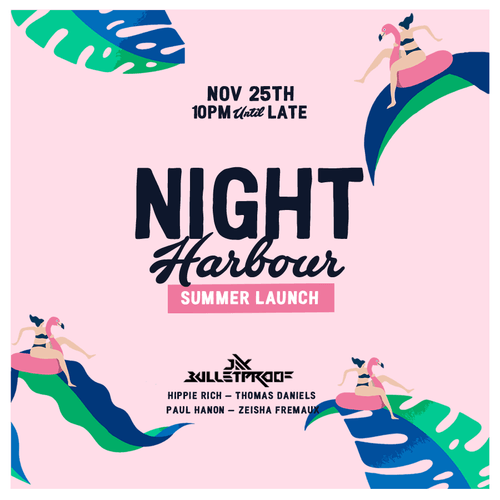 With space for over 600 guests we’ll be combining with Upstairs at The Nightingale to host a multi floor music extravaganza headlined by Jay Bulletproof! The Host of George FM Nights, Bass Music Producer and DJ, 20 years into the electronica game, and still, the New Zealand based DJ/Producer known as Bulletproof remains as inspired and passionate about dance music as he was two decades ago. Hailed the pioneer of New Zealand Electronic Music Production, It’s fair to say Jay Bulletproof has been at the forefront of the movement in New Zealand since day dot.